We’ve all seen those late-night infomercials on TV about losing weight — “Take this pill and you could lose up to 10 lbs. in 5 days!” And do we buy them? Maybe once. Okay, maybe twice. (No judging!) But are they effective? Typically not. Time and time again, fitness experts say the key to losing weight and becoming fit is adopting a healthy lifestyle. This means eating a proper diet and maintaining a rigorous and consistent fitness routine. It takes a lot of work, planning, and time, especially in the early days, but this combination has proven to be the most effective way to get yourself on a healthier path. So how does this have anything to do with media relations? You don’t work out a single time, or even a half dozen times and expect #gains right away… or at least you shouldn’t. A steady and consistent workout routine will yield results in the long run, and the same goes for media relations. The first step in any lifestyle change is immersion. When it comes to fitness, this often involves talking with a certified trainer about your diet, evaluating exercise routines you’ve tried in the past, outlining the fitness goals you’re aiming for, and putting together a detailed plan to help you reach those goals. Once you understand where you’ve been and where you are now, it’s a lot easier to create a plan that works for you moving forward. The same goes for media relations; a crucial first step for a PR firm is to get a better understanding of a new client’s business. You can think of your PR firm as your trainer. We create a roadmap for the year and build up the client’s specific expertise in the marketplace. We conduct interview training workshops that culminate in a deeper understanding of business relations for the client, all while further immersing ourselves in that relationship. And of course, we put together compelling pitches for media introductions for these clients. These steps are crucial for laying the foundation for media relations and telling your company’s story to the public. As everyone who has ever tried a new fitness routine knows, it’s not smooth sailing right from the start. Your trainer can’t perfectly foresee how your body will respond to certain exercises, so they need to closely monitor your performance at the beginning. He or she will also be evaluating things like, “What type of incentives (i.e., losing weight, more muscle tone, feeling like you can afford to have that extra beer over the weekend, etc.) motivate you?” Through this collaboration, your trainer will get a feel for what type of management style fits you best — for example, some people may want a trainer to set goals and prescribe every single exercise and meal, whereas others may be more self-directed and only want occasional guidance. And while some people may derive motivation from a high-energy drill sergeant, that approach may discourage others. It’s impossible to know what works best until you try. Your PR team and media relations work the same way, both with reporters and clients. Certain pitch angles for your company could pique the interest of one reporter but not resonate at all with another. Once your PR firm has developed relationships with your target reporters, you don’t need to worry as much about that guessing game. It’s also key that a PR team and its client learn how best to work with each other. This relates back to management approaches: are you going to be partners in your projects? Do you want to hand the reigns over to the PR firm entirely? Delineating who’s going to do what at the beginning will eliminate a lot of miscommunications and potential frustrations. It will also communicate a stronger front to the media; if your business comes across as put-together, organized, and in-the-know, reporters are more likely to pursue your pitch. Now comes everyone’s favorite part: results! 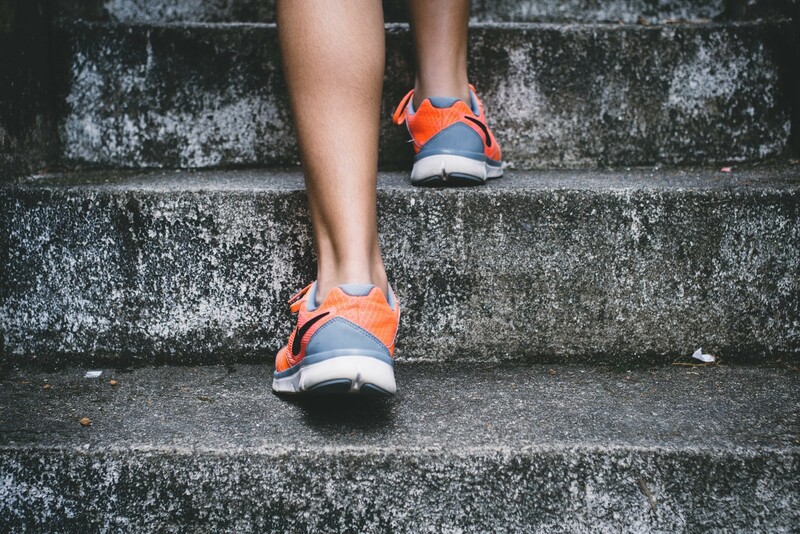 Now that you’ve laid the groundwork with your trainer and found out what works best for your body, your consistent fitness routine is starting to pay off. You’re lifting more, running further — and who doesn’t love to see that little tricep horseshoe developing? Maybe you’re even touching the ceiling with your feet, like our good friend D. Anthony Evans. Results are a concrete way to track the progress you’ve been making, and they also function as a method for gauging the effectiveness of certain workouts. When it comes to media relations, you might not get that horseshoe, but the results are just as rewarding. You’ll see more engagement on social, returns on your media placements, and increased credibility and visibility for your brand in the industry. Don’t be discouraged if there’s not a rapid influx after one placement or one phone call with a reporter — the best things in life take time. Plus, victories are always sweeter when you’ve had to exercise patience to get them. Trust us on this one. That teardrop in your quad (that you got from working out like 3Points’ fitness pal Cristina Panagopoulos) isn’t a permanent resident — it’s just paying rent. If you want to keep those hard-earned results around and not gain back the 10 pounds you lost, you can’t revert to your old lifestyle. You need to continue to nourish and strengthen your body if you want to keep it up. Don’t get too comfortable in your routine, either, because if you only stick to the same exercise time after time, you’ll plateau. It’s a long process that takes a lot of effort and discipline, but if you’re addicted to those post-workout endorphins like I am (and others at 3Points are), then eventually it will come as naturally as breathing. Just as you want to maintain a healthy relationship with your body, it’s imperative that you nurture your connections in the media as well. Stay up-to-date on trends and what’s out there. It will keep you #intheknow and tell people that you’re tuned into your industry. Check in or grab coffee with your reporter friends (via your PR pal, of course). Don’t just count on them when you have an announcement to make. That’s not a relationship, and you’d be hard-pressed to find a journalist who stays interested when it becomes clear that they’ve entered into a one-sided partnership. There is no end to fitness or media relations, and there aren’t shortcuts, either. Don’t expect to lose 10 pounds after visiting the gym once. The same goes for PR — you can’t expect to earn multiple media placements or new social media followers immediately after initiating a relationship with a reporter or writing your first blog post. Trust in the process. Engage with a PR firm, put a proper plan in place, and build toward your goal. You’ll always want to be fitter, stronger, and healthier. You’ll also want to continue to tell your story, and get your brand more visibility in your target marketplace. Both require dedication, time, and patience. And that’s when you’ll see real #gains. If you’re interested in talking more about PR (or personal fitness), hit me up at Lorna@3ptscomm.com, or on Twitter or LinkedIn. I’d love to hear from you!